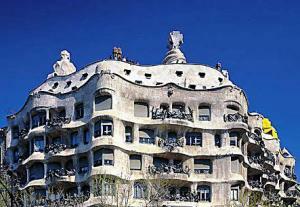 Paris Strategies Conferences 2013: How to Reduce Sugar, Salt & Saturated Fat? 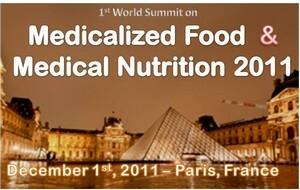 The 1st World Summit on Medicalized Food & Medical Nutrition: The Emerging Market of Therapeutic Complements will be held in Paris on December 1st, 2011. Medicalized Food offer an excellent tool for approaching and managing various medical conditions.They slow the progression of specific chronic conditions and are complementary to approved pharmacologic therapies. 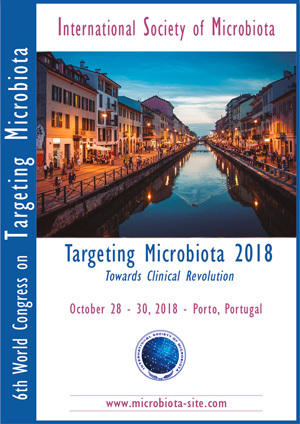 After the success of the three past conferences, the Scientific Committee decided to organize the fourth edition to highlight the recent advances and clinical applications of green tea and green tea extracts in various pathologies and discuss about the potential applications of tea and green tea as medicalized food & drinks. 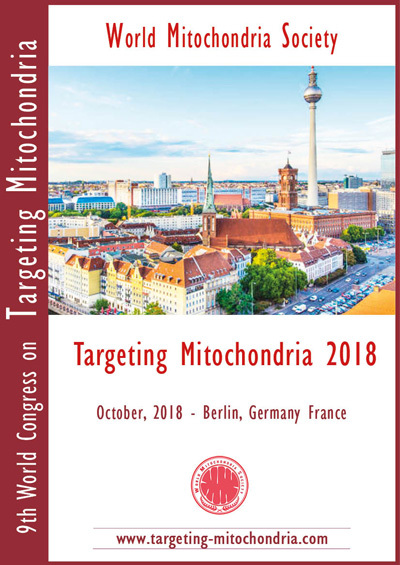 After the success of the first edition held in November 2010, the Scientific Committee of the International Society of Antioxidants in Nutrition and Health (ISANH) decided to organize the 2nd World Congress on Targeting Mitochondria which will be held in Berlin on October 20-21, 2011. 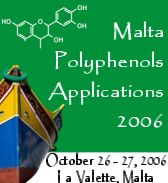 The Scientific Committee of Malta Strategies Conferences is pleased to inform you about the important strategic conferences which will be held in Malta in October 28-29, 2010, at Radisson SAS Hotel, Saint Julian. The common aim of Malta Sugar and salt reduction strategies congresses is to put forward strategies for the prevention of chronic diseases such as obesity, cancer, neurodegenerative diseases, cardiovascular diseases and ageing of population. 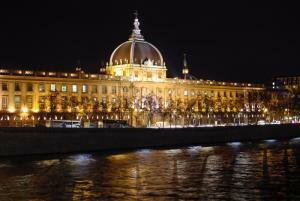 1st International Congress on Oxidative Stress, Infertility & Degenerative Diseases: Recent Advances & Controversies. Symposium on Pomegranate Extracts: Clinical & Nutraceutical Applications. 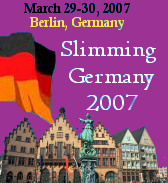 After the great success of the Polyphenols 2006 conference, the International Society for Antioxidants in Nutrition and Health (ISANH) organizes the 4th international meeting to gather high level scientists and professionals to give an update of advances in polyphenols benefits and promising trends of their use in improvement of human health. 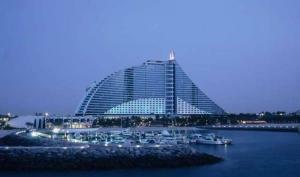 The conference offers an excellent opportunity to exchange ideas and experiences between researchers and industrialists. 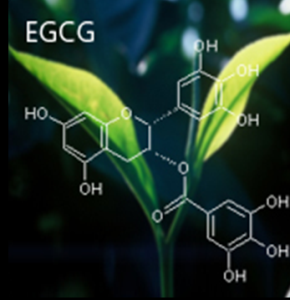 Today polyphenols benefits in human health have gained a worldwild interest and the knowlegde of the relationship between their consumption and health improvement is constantly growing. The next step is how to bring these compounds to targeted populations and what are the best means to optimize their effects for consumer. 2nd world congress on prevention and therapies against obesity: innovation and perspectives in the obesity field Obesity is an universally spreaded disease, that concerns not only adults but also children and adolescents. 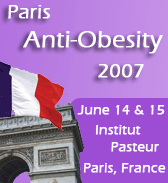 In front of the worlwide epidemy announced by the specialists in this field, Paris Anti-Obesity Therapies 2007 proposes to discuss on the latest therapeutical innovations, the new pathways which will allow the development of new pharmaceutical treatments and the use of natural ingredients to fight against obesity . 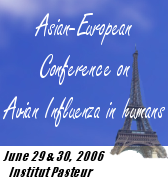 The aim of this conference is to bring together world specialists in order to discuss the latest advances on Avian Influenza, especially on new therapeutic targets for treatment and prevention in humans, and the strategies to avoid a human pandemic. 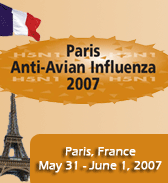 A special session will be reserved to discuss about the management of a catastrophic scenario, in the case of a pandemic outbreak. 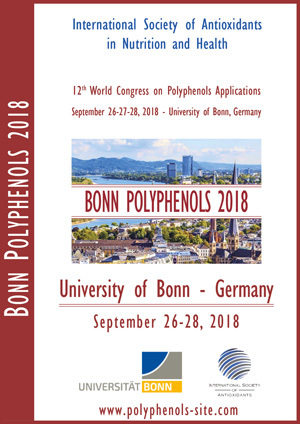 After the great success of the Polyphenols 2005 conference, the ISANH organises an international meeting with high level scientists and professionals to give an overview of industrial polyphenols, flavonoïdes and phenolic acid applications and to bring answers to pharmaceutical, cosmetic and food industrialists. 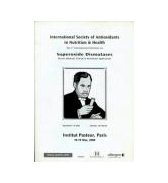 This conference will gather academic (researchers, clinicians, doctors…) with industrials (food, cosmetic, pharmaceutical…). 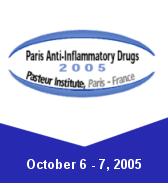 The aim of “Paris Anti-inflammatory drugs 2005” conference is to bring together world specialists in order to explore the latest scientific advances on anti-inflammatory drugs. 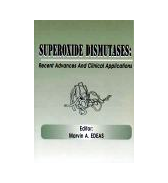 It proposes to launch the discussion on the latest innovations, new applications and new pathways which will allow the development of more efficient and safer anti-inflammatory drugs in the future. Obesity is an universally spreaded disease, that concerns not only adults but also children and adolescents. 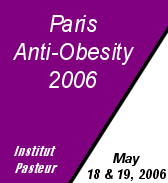 In front of the worlwide epidemy announced by the specialists in this field, Paris Anti-Obesity Therapies 2006 proposes to discuss on the latest therapeutical innovations, the new pathways which will allow the development of new pharmaceutical treatments and the use of natural ingredients to fight against obesity . SOD conference will focus on the most recent SOD and SOD-related research and will involve many of the key contributors to the field. 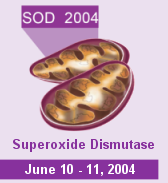 SOD 2004 conference will offer an overview of our present knowledge of recent advances in SOD researches and what about the clinical uses. It will stimulate scientific debate between participants from both academic institutions and private companies and will offer opportunities forfurther research and collaborations.